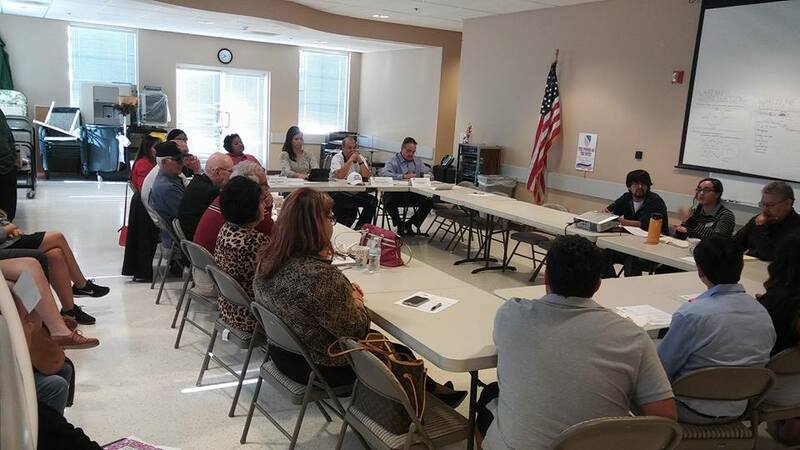 Nominations are open for the election of the executive board for Ventura County LULAC (District 17). a. [District] Director: (1) To uphold the National Constitution and Bylaws of the League, its Policies and Customs, and all Resolutions duly passed; (2) To administer the State of his/her jurisdiction and the functions of the State Office with the cooperation and approval of the [District] Executive Board; (3) To preside at all sessions of the [District] Executive Board, and the State Convention; (4) To name all [District] Committees, appoint State Officers and State Office Personnel, and to fill vacancies in State Offices with the approval of the [District] Executive Board; (5) To carry out all other duties and responsibilities incumbent upon his office. c. Immediate Past [District] Director: (1) To serve as Advisor to the State Director; (2) To attend State Executive Board meetings and State Conventions and preside at either function in the absence of the State Director and Deputy State Director or when these officers are candidates at State Convention and thus disqualified to preside over elections; (3) To carry out those functions requested by the State Director, State Assembly or State Executive Board. d. Deputy [District] Director of Women’s Activities: (1) To have supervisory control over such state committees and areas of work pertaining to Women’s Activities; (2) To discharge those duties and responsibilities assigned by the State Director. e. Deputy [District] Director of Youth: To discharge those duties and responsibilities as defined for the National Director of Youth under Article VII, Section C, (1-6), except that they shall be limited to the State level, and, in addition he shall function as a member of the National Committee on Youth Activities. f. Deputy [District] Director for Young Adults: (1) To have supervisory control over such state committees and areas of work pertaining to Young Adult activities. (2) To discharge those duties and responsibilities assigned by the [District] Director. g. [District] Secretary: (1) To keep in established places all permanent records, inventories and property list of the State; (2) To handle all correspondence of the State Office as may be assigned by the State Director; (3) To take down, transcribe and make available to the State membership and National President the minutes and resolutions of the State Assembly and sessions of the State Executive Board within thirty days of said 47 events; (4) To maintain in a separate volume all resolutions and State Constitution and Bylaw amendments as may be adopted by the State Assembly. h. [District] Treasurer: (1) To receive and place in a bank designated by the State Director with the approval of the State Executive Board all monies paid into the State Treasury as [District] Membership dues, assessments, contributions and donations. Such funds may be placed under a general account or in various designated funds, as directed by the State Convention and Bylaws or the [District] Executive Board; (2) To register his/her signature and that of the [District] Director at the bank and to co‑sign all checks for authorized expenditures; (3) To keep and maintain up to date a set of books in keeping with proper accounting procedures; (4) To make quarterly reports to the State membership following the procedures set in Article VIII, Section 9, Subsection e. Item 4; (5) To settle all accounts of the State organization with the exception of the State Convention and the audit of his/ her accounts; (6) To have his/her account audited by a Public Accountant prior to the State Convention in May, and to turn over to his/her successor the complete set of accounting records, audit reports, and other documentation in his/ her custody. i. [District] Legal Advisor: To carry out those duties as are defined for the National Legal Advisor except that in the case of the State Legal Advisor they shall be limited to the scope and level of the state. j. 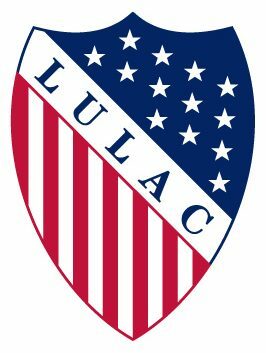 State Director of Publicity: (1) To coordinate all publicity at the State level in cooperation with the National Director and the Editor 48 of LULAC NEWS; (2) To be vigilant to adverse publicity of LULAC and to refrain from using his office and prerogatives in the promotion of politics within or without LULAC. k. State Chaplain: To perform those duties incumbent upon his/her office at all state functions requiring them. Section I—Elective Officers: a. District Director; b. Deputy District Director; c. District Treasurer; d. Deputy District Director for the Elderly; e. Deputy District Director for Women; f. Deputy District Director for Young Adults; g. Deputy District Director for Youth. Section 2—Immediate Past District Director: This shall be the title conferred on the outgoing Director by the incoming Director upon his/her installation. Section 3—Qualifications: All District Officers, whether elected or appointed must possess the qualifications set in Article VIII, Section 4, Subsections a. thru f. of this Constitution, except under Subsection b., previous office holding is limited to Local District Executive Board and/or District levels. Section 4—Election and Appointments: The procedures and requirements stipulated in Article VIII, Section 5 of this Constitution shall apply to District Officers, substituting District designations in those instances where reference is made to the National level, and in 49 Subsection b., the number of endorsing Councils shall be two. Section 5—Tenure of Office: All provisions in Article VIII, Section 6 of this Constitution shall apply to District Officers, substituting District designations for the National designations. A person cannot seek the position of District Director if he or she has held this position for four years intermittently or consecutively. Section 6—Impeachment and/or Removal of District Officers: The provisions of Article VIII, Section 8, Subsections a. & b. of this Constitution shall apply to District Officers. Section 7—Duties and Responsibilities of District Officers: All District Officers, elected and appointed, shall have those duties and responsibilities at the District level that are set forth for the State Officers under Article IX, Section 8, except that they shall be limited to the District level and jurisdiction.